Former President Olusegun Obasanjo has said he would commit suicide if there is no hope for the country and appealed to the people not to lose hope on Nigeria. 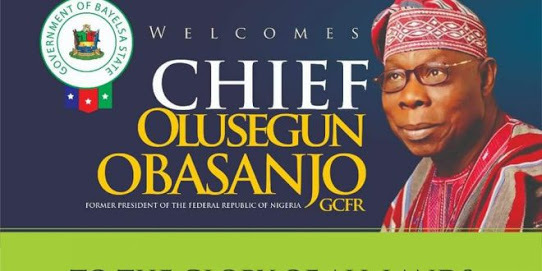 Obasanjo, who was in Bayelsa State on Friday to inaugurate health projects initiated and completed by the state Governor, Seriake Dickson, insisted that there is great hope for the country. The ex-President, who commissioned the Bayelsa Specialists Hospital, the Bayelsa Drug Mart and the Bayelsa Diagnostic Centre, also declared that he had no regrets in all the leadership positions he occupied even at the Presidency. In a special interactive session with pupils of the famous Ijaw National Academy (INA) in Kaiama, Kolokuma-Opokuma, he said the country had myriads of challenges. But he noted that Nigeria would rise above its challenges, adding that during his recent trip to Rome, Italy, the Nigerian Ambassador there informed him that 1,600 Nigerians were languishing in the European nation’s prisons. 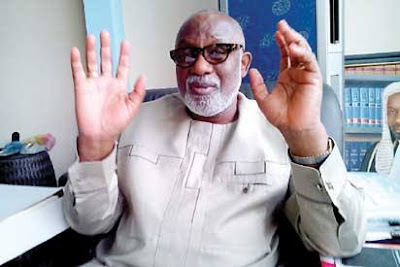 Responding to a question from one of the pupils of the Academy, he said: “If I believe that Nigeria has no hope, I will find a way of committing suicide immediately. Then what am I living for? I am an incurable optimist about Nigeria. Nigeria has hope. “There are many things that we should have done that we have not done as we should have done them. There is no doubt about that. But that doesn’t mean that Nigeria has no hope. Hope is what drives human beings. “If you are a person without hope, you are a person without life. How can I therefore say Nigeria has no hope? Nigeria has hope. And you are part of the hope of Nigeria. The question you have asked me is a very sensible question and that means with you asking me that type of question it heightens my own conviction that Nigeria has hope. “Those of us, who have gone before, people of my age and then it will be followed quickly by people of Governor Dickson’s age; you may be asking, what have we done? Have we destroyed your future? “My generation or the generation before me gave us independence. It doesn’t matter what you think about them. My generation fought for the unity of this country and laid the foundation of democracy. “Then people of governor Dickson’s generation should be able to say they built on our foundation. That is how a nation continues to make progress. The governor is doing wonderfully well. Anybody coming after him will do something else. The person will not start building the INA from the scratch. The academy has already been established. “In spite of our difficulties; I came back from Rome last night. Our Ambassador there, who was a kind man, he was in the Navy; he told me that his major problem is that there are 1,600 Nigerians in Italian prison. That is a problem. “But we shouldn’t because of that say there is no hope for Nigeria? No. I will say we have a problem that we have to address and if we don’t address it we are postponing the evil day. That doesn’t mean that Nigeria has no hope. Never lose hope.